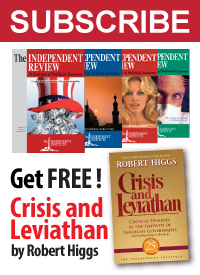 In conjunction with its Government Cost Calculator, the Independent Institute is proposing cutting the 2011 Fiscal Year budget for the federal government by $2.5 trillion from the updated $3.7 trillion in spending projected by the Congressional Budget Office in January. 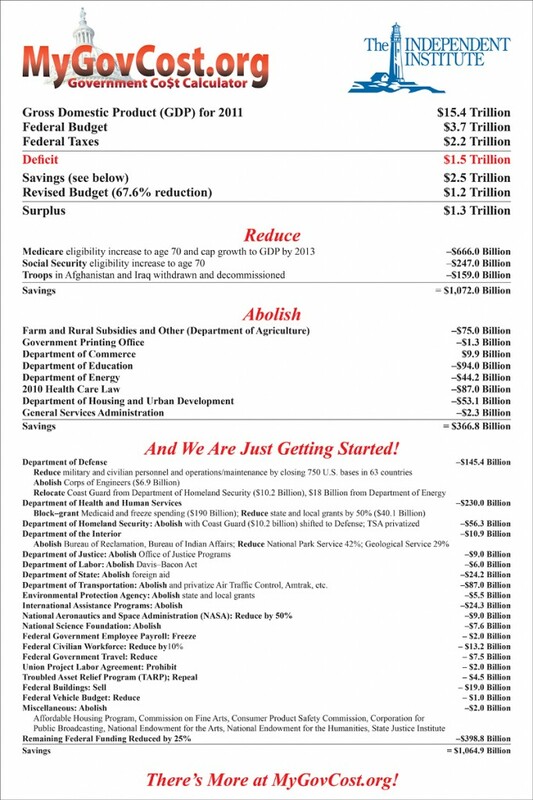 The result would reduce federal spending by 67.6% with a surplus for the year of $1.3 trillion. This proposal includes reduction options in entitlements, defense, farm subsidies, and many other areas but in no way represents the entire scope of what could be ultimately done to rein in federal spending and debt. Here below is a breakdown of how the reductions options could be made.